Zalmi's Blog: Chevra – Don’t Throw Away Your Trump Card ! I have this movie playing in my head. 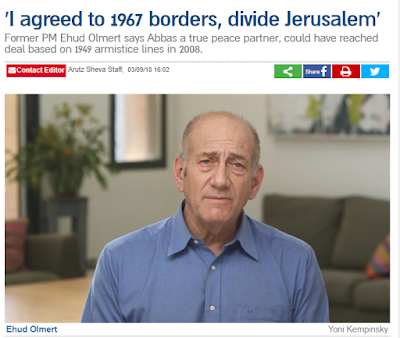 It’s set in a parallel Israel where Olmert actually gave back the Golan to Syria and divided Jerusalem back in 2008 as part of his much vaunted ‘67-borders offer to Abbas. As an orthodox Jew and religious Zionist, I truly believe that the Almighty has protected Israel from the folly of its leaders. The lesson is that we must hold on tightly to what we’ve got - to all the homelands that we have been blessed enough to liberate and for which brave soldiers have made the ultimate sacrifice and for whom their families still grieve. 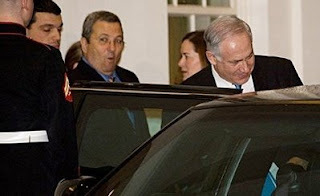 Remember when Obama shunned Bibi and Barak at that first meeting in his White House? How he left them in a room saying he was off to dinner with his family but to call him if they came up with any ideas (to dismember parts of Eretz Yisrael)? And how they had to leave by the back door, denied any photo-ops on Obama’s orders? I remember that horrible evening. Bibi was not to know that this ‘Ice Age’ would wind up as a two-term presidency. And how it would end with a $150bn lifeline to Iran and Obama kicking Israel under a bus at the UN in his final days of office. But still, Bibi Netanyahu steered the Israeli ship of state though those stormy seas so that we lived to see the benevolence of the Trump era with our territory intact. Nothing given away. And stronger economically and militarily than ever before. So, I appeal to Israelis – don’t throw away your Trump card tomorrow.